As I have far too much time after exams, I thought that I would write a blog detailing my reasons for voting Brexit. As I am a 22 year old university student who is mixed race (my mother is a Japanese immigrant to the UK) and was born in the Netherlands, I would not be considered an archetypal Brexit voter. Moreover, as a voter aged 18-24, I find myself in the category least likely to vote to leave the European Union, with YouGov in their latest poll finding 59% to vote Remain, 20% to Leave, 5% to abstain and 16% who are undecided. Evidently there is a discord between Brexit and young voters, which I personally find disappointing. Similarly, I have been disappointed by many comments on Facebook casually referring to voting Brexit as a ‘racist’ and ‘xenophobic’ decision, and I wish to dispel this myth through my arguments. 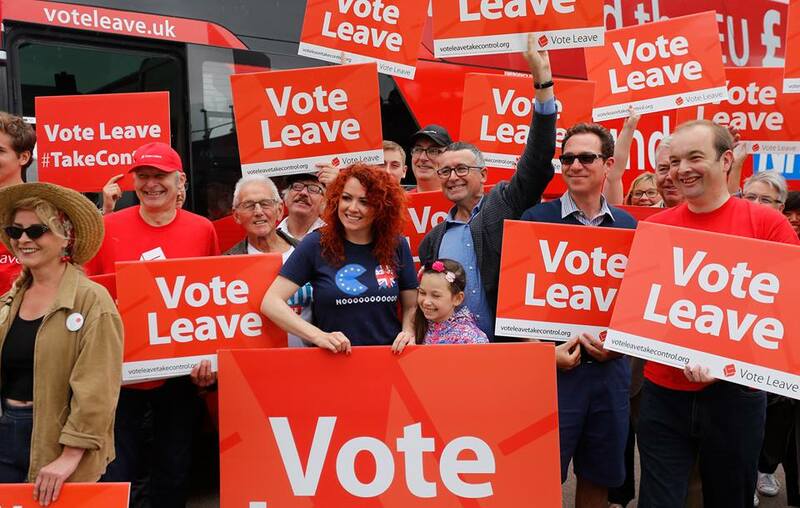 Hopefully through reading this blog you will agree with what I say, and see the merits of the Brexit campaign as more than just a racist and xenophobic fear-mongering vehicle against immigrants. I would also like this opportunity to ask everyone making a decision to look beyond party politics. Influential figures such as Owen Jones, Tom Watson MP and Yvette Cooper MP have been campaigning to Remain with the key argument that leaving the EU would give greater powers for David Cameron to exploit workers; they argue that we must remain so that the EU can hold him accountable and keep him in line. However, I believe that they need to see the bigger picture: general elections hold politicians accountable and the greater power we would hold as a country could similarly be used by the Labour party to achieve their aims and in this instance go beyond what Europe propose in protecting workers. The EU referendum quite simply gives greater power back to Britain and the British people, not David Cameron and the Conservative government, as recognised by notable Labour MPs such as John Mann, Dennis Skinner and Gisela Stuart (reputedly if Jeremy Corbyn was a backbencher he would campaign for Brexit – he voted against the EU (then the EEC) in 1974). For example, if Labour came into power and wished to renationalise the railways, gas or electricity they would not be able to do it under current EU legislation; it is currently nigh on impossible under Article 106 to nationalise industries in the EU. If we were to leave, this would give us greater power for us to what we want in the EU, as shown by the length of time taken to get tampons VAT exempt. I also wish to commemorate the life of Jo Cox MP, who selflessly helped her constituents and was brutally and senselessly murdered for doing so. Regardless of political views or opinions, it is difficult to not admire the fantastic job that many politicians do and how they join politics for all the right reasons: to help others. This was definitely the case with Jo and I will honour her political commitment by fighting for what I believe to be he right thing; exactly what she was doing before she was tragically murdered. I would like to pass my condolences to Jo's husband and two young children. Initially, I feel it is pertinent to deal with the situation currently and to judge the EU on how it is operated today. Far too much of the EU Referendum debate is conducted on speculation and fear mongering from both sides; this is clearly not helpful at all to the average voter especially with speculation is often presented as fact. First of all, I would recommend watching the hour-long documentary ‘Paxman in Brussels’ – it gives a factual and engaging investigation into how the EU works politically. It is important to understand the EU politically, as that is the main source of frustration for many Brexiters. The EU consists of three main bodies: European Parliament, the European Council and the European Commission. The European parliament consists of 751 members, with the UK having 73 MEPs. The European Council consists of the Head of State for each EU country (28 members), so David Cameron is our representative. The European Commission consists of 28 unelected eurocrats who are nominated by their home country and approved by the President of the Council. The current President is Jean-Claude Junker from the Duchy of Luxembourg. These figures are not elected by the people, but instead are the mouthpiece of whichever Prime Minister we have at the time. Our representative is Lord Hill, a member of the House of Lords who throughout his career has never been elected by the people. The European Commission play an important role, as they propose legislation that is then amended and ratified by the European Parliament; the EU parliament are not allowed to propose laws in any shape or form. This is in direct contrast to the UK political system. Our elected politicians (the House of Commons) propose legislation and the unelected figures (the House of Lords) amend legislation as they see fit. Labour prior to the General Election had in its manifesto that the Lords should be abolished and replaced with an elected US style-Senate. The House of Lords has got significantly less power than the EU Commission (the House of Lords can only amend legislation, not propose it), so for us to be angry at the Lords but happy with accepting the unaccountable, unelected Commission is baffling. This means that EU legislation is being created by a small number of eurocrats who are not democratically elected nor accountable to the people; we are currently not able to boot out Lord Hill if we so wished. This is not helped by the fact that the Commission is not transparent – we cannot see or even know of deliberations from the Commission, unlike British parliament where all debates in the Commons are publically available. EU legislation is a very important topic – it has been roughly estimated that between 2010-2013, 59% of laws introduced in the UK came from the EU. This is important considering that EU directives and regulation supersede our own laws and regulations – many regulations such as the European Commission Port Services Regulations (explained in full later!) directly go against British interests. EU regulation includes the brightness of light bulbs (traditional light bulbs are banned with only dimmer ones available), and Jeremy Paxman uses the example of a directive (it has to be done but the national government can write the legislation) and then after 4 years a regulation (which is written by the EU and becomes law immediately) on the definition of chocolate – the EU partly concluded that British milk chocolate is too milky. There are 1,246 laws (directives and regulations) on bread, 12,000 laws on milk, 202 laws on orange juice, 172 on mirrors, 1467 on roads etc. Complying with regulation is a huge cost and breaking regulation can cost a lot – this can only be for the benefit of big corporations. This is to the detriment of smaller companies; this can be seen by the significant number of small to middle-sized businesses who back Brexit such as JCB, Tate & Lyle and Wetherspoons. These small to medium businesses are vitally important: they contribute to 60% of all private sector employment and 47% of all private sector turnover. The EU affects a number of industries with their regulation, most notably the fishing industry. When we joined the EU, fishing waters were taken from the UK and given to other countries of the EU – this can most notably be seen in the North-East where fishing waters just 3 or 4miles from the coast were given to other countries. It is estimated that we can only fish in roughly 20% of waters that prior to joining the EU were ours. Even Danish fishermen are bitterly angry about EU regulation regarding the fishing industry – EU regulation has banned their traditional method of smoking fish. Conveniently, there is technology called CleanSmoke and can be put into machines, with the machines not only significantly more expensive than the traditional method but also manufactured in Germany. Countries free of EU regulation such as Norway and Iceland have booming fishing industries to the extent that we purchase a lot of fish from these countries. Another industry hit by EU regulation is the sugar industry. Sugar refiners such as Tate & Lyle are struggling because of EU regulation. The EU have imposed tariffs on cane sugar imported from abroad due to the struggling beet sugar industry. This has increased the operating costs of Tate & Lyle, who have had to reduce production by 50%. They now cannot compete on the global stage (they are not able to export the 330 million tonnes they did in 2009) and are now even struggling to compete against importers due to the increased costs caused by tariffs, quotas and regulation implemented by the EU. They estimate that the EU tariffs have cost the UK economy between £80-90 million a year. Even the constitution of the EU lacks common sense and is economically damaging, as they have to go to Strasbourg, a 4 hour train journey away (on chartered trains dubbed the Eurocrat Express) every month to vote on legislation. All of the European parliament, with MEPs, civil servants as well as their paperwork are transported at great expense and inconvenience purely because it is dictated in the Constitution. It costs roughly £100 million to maintain both bases at Brussels and Strasbourg per year. What caps this all off is that we even had to get permission of each member state to make tampons VAT exempt, and until it was exempt we had to set a VAT of 5%: the lowest VAT rating we could set. This demonstrates our ultimate lack of sovereignty that we are not able to even make some of our goods VAT exempt, we had to wait for all 28 member states to approve of our request before it could be implemented. More than 10,000 people that work in Brussels get paid more than David Cameron (£143,462), and have many perks, including their own private shopping centre for their own personal use in Brussels. Daniel Hannan, a Conservative MEP since 1999, detailed his shock when his reimbursement for his flight from London was not calculated on its cost but rather on a kilometre rate. This meant that if he flew on Easyjet, he could make roughly £800 a week tax free. This was on top of a £3,500 grant given each month (without receipts) for postage and petrol, demonstrating the ridiculous nature of expenses in Brussels. This just scratches the surfaces of how generous expenses are (as well as the fact that they don’t have to provide receipts for many of their expenses), and how much tax payer money is squandered in the EU, more so than in our own Parliament. One of the main issues regarding the EU is our apathetic view towards it; we currently have a semi-detached relationship with Europe. This can be seen in 2014, when the European parliamentary elections had a turnout of just 35.6%, in comparison to the 66.4% turnout to the General Election in 2015 and the staggering 84.9% turnout for the Scottish Referendum of 2014. This evidently demonstrates the British peoples lack of regard for being in Europe and how it has often been used as a protest vote against the government. This prompts the question: ‘What is the point of staying in Europe if we don’t care about it?’ This apathy is compounded by the election of 24 (out of 73) UKIP MEPs as well as a number of Eurosceptic Conservative MEPS (most prominently Daniel Hannan and Syed Kamall): these figures evidently don’t have great leverage in European parliament as their main ambition is to leave the EU and are thus dismissed by their European peers. Similarly, our MEPs often struggle to represent our interests, as they sit not by nation but instead by political ideology – how can they represent British interests if they are divided? 8 of the 9 political blocs have British MEPs sitting in them highlighting the extent of the division between our MEPs and how they represent their political ideologies rather than British interests. The alliances that our MEPs are in are not powerful; the different alliances of UKIP and the Conservatives amount to 46 MEPs (inc. UKIP’s 24) in the EFDD (Europe of Freedom and Direct Democracy) and 74 MEPs (inc. 19 Conservatives) in the ECR (European Conservatives and Reformists). Whilst Labour are in the second largest alliance with their 20 MEPs making up 191 MEPs of the S&D (Progressive Alliance of Socialists and Democrats), our MEPs are not part of the largest alliance in European parliament. The fact that the vast majority of our MEPs are in small alliances means that they would be unable to exert much power or influence in European parliament. Britain’s power and influence is demonstrated by the fact that we are out-voted on legislation more than 2 times the closest country; we are by far the most outvoted nation in the EU. Being outvoted has negatively impacted us as shown by the proposed European Commission Port Services Regulations. This has caused grave concerns with every British port operator and every trade union– this concern has been replicated by our MEPs, with nearly every single one voting against it (as did 168 of their European peers). Whilst it makes sense for the large state-owned or state subsidised ports such as Antwerp, Hamberg and Rotterdam, it quite simply is detrimental to the private and small ports of Britain – once again regulation will be forced upon us by the EU. Similarly, it is not just at the European parliament where we are tolerated but ignored, but also at European council. This is shown by David Cameron’s renegotiation with Europe: many of the non-negotiables tabled by David Cameron were watered down, such as his pledge to stop EU migrants from taking from the system before they put into it. Instead, EU migrants will now be paid benefits as to the equivalent of their own country – a lot less than Cameron promised the British people. Both Remain and Vote Leave campaigns concede that our relationship with the EU needs to be reformed; but if we were to stay in Europe, as shown by the failure of the renegotiation, it would be business as usual as we simply do not wield any power or influence in the European parliament. Yet looking at the ideology of the EU it is obvious to see why MEPs sit in political blocs rather than national blocs. Whilst we traditionally see the EU as an economic vehicle, our European cousins it is a political vehicle with many MEPs wishing for all member states to integrate economically and politically. They wish to see a strong United States of Europe; we evidently are the odd ones out with our unwillingness to integrate, this much can be seen be seen by our constant refusal to adopt the Euro unlike 19 out of the 28 states (with 7 others imminently due to adopt it). For us to vote remain, it would mean an endorsement of the European project: the integration of all the countries of Europe under the EU. Through examining the controversy surrounding our joining of the EEC (European Economic Community – now the EU), the Maastricht Treaty of 1992 and Treaty of Lisbon 2007, and plans of the EU for the future, it is evident to see how integration was the plan all along for the European project and still is. The Labour government ran their general election campaign in 1974 with the promise of a referendum on the UK’s membership, with the UK having joined the EEC in 1973. Prominent Labour politicians saw great issue with the EEC, with the well respected Labour MP Tony Benn writing a letter to his constituents stating how the EEC sought to establish a common foreign policy, common passport, directly elected assembly, and an economic and monetary union that would make the UK a province in Western Europe. He ends his letter asserting that remaining in the EEC would remove the power for the British peoples to govern themselves, with this power being lost to unelected and unaccountable Eurocrats. He felt that the relinquishing of power to the EEC would only be undemocratic, deflationary and run in the interests of big business. Would you say this is the case now? At the treaty of Maastricht in 1992, the EEC became the EU, and with the EU came the Euro. This was the first legislative measure that demonstrated how the EU was more than just an economic union, but a political one. They had to obey all the obligations and had to follow regulation as set by the EU. According to Toby Young, in 2007 at the Treaty of Lisbon, each member state had a veto over the EU’s common defence policy. Yet nowadays, it can be decided by a majority vote. The UK lost its right to veto in 40 different policy areas: the aim of the Treaty of Lisbon was to centralise the EU and to take away power from nation states. It was so unpopular that the French, Dutch and Irish voters all voted against it in a referendum when given the opportunity. Through the statements made by Jean-Claude Junker, it is evident that the words of Tony Benn in 1975 will be coming to fruition. There are plans to create an EU army (although these plans have been put back until the 24th June, the day after the referendum), we already have the monetary union predicted through the Euro (which we were only able to reject due to a veto), we have a Presidents and a European parliament, an embassy and a diplomatic service, a flag and a national anthem. All of this suggests that the EU project, the integration of all member states, will come into fruition in the near future, and by voting Remain on the 23rd June you are voting in favour of this political and economic union as it will be pushed through European Parliament because the vast majority of MEPs wish for it to occur. The main argument in favour of staying in the EU is economic reasons. Yet why should remain in Europe when the EU makes decisions not in our economic interest, but in their political interests in pushing for greater integration. This can be seen through the implementation of the Euro, a categorical failure of the EU. The Euro might have been successful in the good times, but as soon as financial issues struck, it was proven to be useless to member states such as Greece. This was because if the Greeks held the Drachma (their currency prior to the Euro), they would have been able to devalue it as they would have ultimate control over their currency. This would have been positive as the Greek economy relies on tourism; devaluing their currency heavily would have meant that holidays to Greece would have been cheaper resulting in greater tourism. Yet as Greece do not control the Euro, the European Central Bank does, they had no way of devaluing the Euro as heavily as required, as countries such as Germany could not justify devaluing the Euro due to political pressure. This meant that the Euro presented inflexibility and could not give Greece a way out of their problems, as the economic fortunes of 19 countries were dependant on the strength of the Euro – it did not unify the countries as intended but divided them. Economic flexibility was a godsend for the UK when it all went wrong in 2008; the Bank of England was able to set low interest rates. This helped because our biggest issue was with mortgages that people were unable to afford to pay: as many mortgages are on a variable rate, it meant that people had to pay less because the interest rate was lower. If we were tied into the Euro, we would not been able to do this without the permission of the ECB and the EU. The other limitation of the Euro was the fact that the EU could not enforce the conditons it set – debt was capped at 60% of GDP and deficits at 3% a year. Yet soon after the Euro was introduced, some of the biggest Eurozone members (France and Germany) broke their debt and deficit commitments, with other countries following suit. The worst of these was Greece which borrowed a lot of money simply because they could at low interest rates, with French and German banks willing to oblige (despite the risks) as they knew that Greece would be bailed out if it struggled. It was inevitably going to fail as soon as economic downturn occurred. People I am sure will argue that the woes of the Euro do not relate to us, but they do. Whilst we supposedly have a veto on helping the bailout of Greece, in 2015 we gave Brussels a loan of £600 million for the third bailout of Greece. Whilst we did have an agreement with Brussels, they ripped it up and forced us to contribute to the bailout. In the current state of the Eurozone, there is the future possibility of having to fund other bailouts, which we would be forced to give due to the precedent set. For example, the Italian economy has barely grown since the Euro was introduced, whilst the unemployment rate in France is double the number of that in the UK or USA. Whilst economists like Yanis Varoufakis have said that we should remain in Europe, his proposal of getting the rich and prosperous countries to prop up the weaker economies in the EU is misguided; I can’t see Angela Merkel agree with that. Ultimately the Eurozone is struggling, with unemployment at historically high levels, which makes a mockery of arguments suggesting that it protects workers rights: many of these aforementioned workers do not have jobs! The only manner in which to solve the Eurozone crisis is for each country to gain economic sovereignty and be able to make their own economic decisions. Similarly, the EU have made terrible economic decisions that have been made for their political gains, such as the Common Agricultural Policies where they not only implemented tariffs but as well bought a lot of food, resulting in mountains of butter and lakes of wines (2.3 hectolitres of wine). Furthermore, they then proceeded to dump food into African countries, completely undermining local producers who could not match the below market rate the EU were dumping them at. This is compounded by Common Fisheries Policy, which resulted in nearly wiping out Europe’s fish stock rather than preserving them as intended. A Dutch study estimated that for every tonne of fish consumed, two to four tonnes of dead fish was thrown overboard. It is also interesting to note that the European court of auditors have refused to sign off on the EU budget for the last 20 years. To detractors that say that we need Europe more than it needs us, this quite simply is not the case. We are the fifth largest economy in the world and we are one of the largest exporters and importers in the EU. If we can not trade with Europe, it will gravely affect them. The Netherland’s Bureau for Economic Analysis said this: "By 2030, the costs for the Netherlands [of Brexit] could run up to 1.2% of GDP, or 10 billion euros. And, if we also assume innovation is trade‐induced as recent examples in the literature have shown, then the Brexit-related costs of 10 billion euros could increase by another 65%." This demonstrates the cost of Brexit on the Netherlands, which would realistically bring the EU to the negotiating table. Similarly, the ‘Mittelstand’ firms in Germany are terrified of the UK leaving the single market; these are the medium sized businesses in Germany that are often considered its engine room – they need to import into Britain in order to thrive. These two examples of many demonstrates how the EU needs us as much as we need them, as many countries are scared of the economic impact Brexit will have on their economies. Indeed, even David Cameron said himself that we can thrive outside of the EU. This means that should we wish, there remains the possibility of staying in the single market as our presence would be valued: we are needed to buy goods and services off EU countries. The other criticism of remainers about Brexit economically was that we would lose out on trade deals. Yet it is an urban myth that we need to have trade deals in order to trade. At the moment, the EU currently does not have trade deals with China, the US or India; all the EU trade deals amount to $5 trillion. Whilst it might seem an impressive figure, South Korea’s trade deals amount to roughly $42 trillion whilst Chile $50 trillion; trade deals are not a necessity for trade. Regardless, it took the EU 9 years to negotiate a trade deal with Canada, whilst it took Switzerland 2 years to negotiate a trade deal with China. The EU are struggling to assemble trade deals, as if any one of the 28 countries vetoes it then it is not possible to have one. For example, negotiations with Mercosur countries (Argentina, Brazil, Paraguay, Uruguay, Venezuela) have completely failed. They started in 1999 and halted in 2004, with renegotiations started in 2010 not progressing at all. This is because French farmers are always going to veto it as they are intimidated by the meat and dairy industry of Brazil and Argentina. As a single country, we will be able to negotiate trade deals with countries far quicker than the EU can, and as a consequence can see the benefits of trade deals a lot earlier than the EU bloc. David Cameron himself when mentioning how Britain can thrive pointed to visits from the Chinese and Indian Premiers; it is evident that even he belives that we would be able to arrange trade deals with these countries. Even if we are unable to, this will still mean that we will be able to trade with the rest of the world. In 2012, for the first time since joining the Common Market, we exported 51% of goods outside of the EU, underlining the trend that British exports are ‘reorienting themselves again towards the fast growing emerging economies’ rather than a ‘Europe mired in economic recession’ – we evidently should target economies that are growing than stagnating economies: this is common sense. This is compounded by the fact that the EU is 17% of the world’s economy compared to 36% when we first joined and the fact that the EU has been stagnant since 2008.Furthermore, the costs communications, financial transfers and transport have been greatly reduced since the start of the EEC, making global trade more economically feasible for individual companies. It quite simply makes more sense to be able to trade freely with other countries. Lord Rose, a prominent figure of the ‘In’ campaign even conceded that in the event of Brexit, wages would go up due to the basic concept of supply and demand. That he has backtracked over his ‘misquoted’ comments are somewhat dubious, this backtracking was done in the midst of a resurgent increase in the polls for Vote Leave so we have to remain skeptical for his motives in backtracking. Finally, George Osborne has alleged that the British GDP would shrink by 6% in the event of Brexit. Bearing in mind that the EU Commission themselves stated that the Single Market adds 2% to GDP demonstrates that the figure of a 6% shrink of GDP is dangerous scaremongering by George Osborne. The EU Commision then conveniently estimated that doing trade deals with their top 7 targets would add 2% of GDP. However, as seen with the example of the Mercosur countries and the length of negotiation taken by the EU, it seems unlikely that many trade deals could occur. Yet if the UK by 2030 could get trade deals with the top 3 countries, the US, Japan and Canada, this would roughly account for 1% of GDP, demonstrating the limited economic impact of Brexit in the short term and the prospect to do better than the EU currently with trade deals. If South Korea and Chile can negotiate trade deals collectively worth 10 times the amount of that of the EU, then why can’t we? Immigration – A Fair deal? As highlighted by the Vote Leave advocates on the ITV EU Referendum debate, the arguments put forward about immigration are to do with control. At the moment, we are only able to control the immigration of those who are not EU Citizens, in 2015 this would be 50% of the immigrants into the UK. The figure for net EU migration in 2015 was 182,000 (roughly 270,000 came in and 85,000 emigrated) – this is a historic high and trends suggest that it will only become greater. This is problematic as we are unable to plan public service provisions as the government quite simply does not know the number of EU citizens coming to the UK. This can be seen in the past, for example when the government in 2005 grossly underestimated the number of Polish immigrants coming in when Poland joined the EU. Uncontrolled immigration leads to greater strain on public services: oversized school classes, longer waiting times in hospitals etc. This, in conjunction with the fact that a conservative estimate shows that 60,000 EU immigrants arrived in the UK without a job demonstrates how many simply cannot pay into the system before taking from it. The effects of controlled immigration shows a different story with only 9% of non-EU immigrants looking for a job in comparison to the 32% in the EU. This in itself demonstrates the merit of taking full control of immigration and adopting a points system taking into account a number of factors (primarily whether they have a definite job) before letting someone into the UK. In the EU referendum debate, the Remain campaigners asserted that Australia (who adopt a points based system) have higher immigration than us, but what is key is that Australia can control their immigration. Evidently, they currently want greater immigration, but they also can adjust their system to limit immigration. Moreover, there are also other consequences of uncontrolled migration. As our public services can only take a certain amount of strain, this means that quite often we cannot let in non-EU nationals as we are forced to prioritise EU immigrants. This has a knock on effect on many industries, with an interesting example being the Indian curry industry. In an attempt to halt migration (as we quite simply cannot fully encourage non-EU migration with the unknown of EU migration) the government have tightened immigration rules. This means that many Indian restaurants have had to employ Eastern Europeans who evidently aren’t as skilled at making curries as those from South East Asia. It is unfair that it is easier and cheaper to employ an unskilled worker who has never cooked a curry rather than someone who has the aptitude and skill to cook curries. This is a microcosm of the Brexit argument; we need to have an immigration policy that is tailored to benefiting Britain and that is fairer towards all immigrants rather than being unduly biased towards just 8% of the worlds population. From a perspective that looks purely at the economics of the debate and neglects to examine the other (and in my opinion, more important) aspects to the debate I can see the merits of the Remain argument. Yet we are in an EU that does not see itself as an economic entity but a political one, and so we have to judge the EU on more than economic reasons. From the implementation of the Euro to the strict condition of the free movement of people in order to be in the Single Market, the EU has shown time and time again that they want to push their political agendas before economic ones. This is compounded by the unaccountable, unelected and secretive Commission who propose the laws that we are forced to accept; we are over-regulated and have had sovereign powers such as the ability to renationalise without scrutiny taken away from us and given to the Commission. Our semi-detached relationship with the EU worsens this position, as we are the most outvoted state in the EU and cannot block regulations such as the European Commission Port Services Regulations despite nearly every MEP voting against it and its dreadful consequences. If we are to continue on the path we are set on, small traditional industries will be destroyed in favour of big businesses that have the money to lobby the EU: it is no coincidence that big business backs Remain and that many small to medium businesses such as JCB, JML, Butlins all back Brexit. It is a fallacy to think that the vast majority of businesses wish to remain (as asserted by someone very confidently on YikYak), as small to medium businesses recognise that economically Brexit will not suffer the dire consequences that George Osborne states (which we all know is scaremongering – even David Cameron said that the UK can thrive with Brexit). Is all of this fair and beneficial to the UK? If you think not, I urge you to vote to leave the EU on the 23rd June and take control; no longer can we be tolerated but ignored in the EU.